There were indications, yesterday, that five suspected members of a cult group allegedly responsible for the killings in Ikorodu area of Lagos State have been granted bail from prison, under what was described as questionable circumstance. 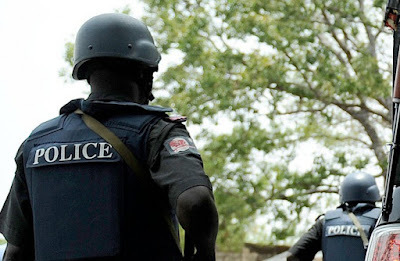 Although identities of the suspects, who were described as leaders of the dreaded Badoo cult group, could not be immediately ascertained, Vanguard gathered that three of them have been re-arrested by the Police. The suspects were arrested during raids of criminal hideouts in the area, led by the Commissioner of Police, Lagos State Police Command, Imohimi Edgal, a few months ago and charged to court. Shortly after their release from prison, they reportedly attempted to resume the massacre in the area. However, acting on a tip-off, the Command’s boss led a manhunt for their re-arrest, during which three of them were apprehended and are at the moment in Police custody, where sources hinted that they had given useful information that is helping Police in investigations. Edgal, who confirmed the re-arrest during an interaction section with traditional rulers at the palace of Oba of Ikorodu, Abdulkabir Adewale Shotobi yesterday, disclosed that the command had begun investigation into the circumstance that led to their release, with a view to sending them back to the prison. Describing the suspects as endangered species that could cause havoc in the community, the Edgal charged the traditional rulers to join hands with the Police to eradicate their likes from the community. He was, however, quick to caution members of the public against attributing cases of murder in Ikorodu to ritual killings by Badoo cult group, pointing out that by so doing, one was only mystifying the act. In his response, Oba Shotobi noted that crime rate had dropped in the area since Edgal assumed office, even as he pledged the support of his chiefs and subjects to ensure that the tempo was sustained.